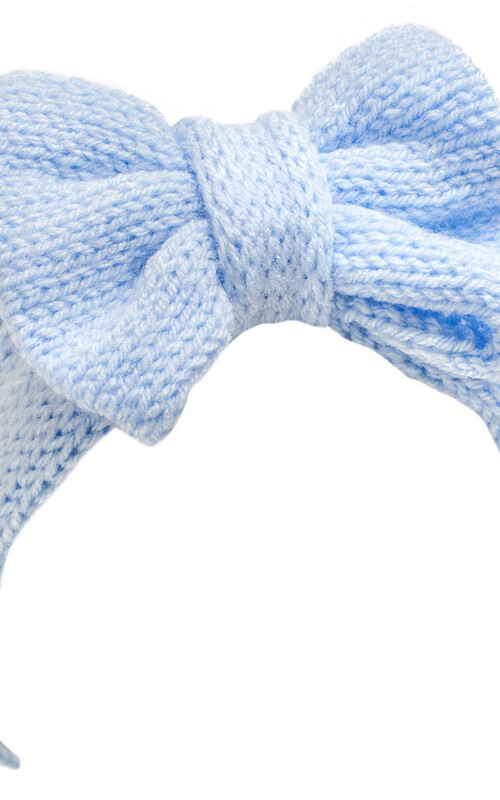 This knitted bow headband, knitted headband, oversized bow headband in super sweet baby blue is a cute and cosy style ear warmer for autumn and winter, and is an essential hair accessory to see you through the chilly months! With this super sweet, adorable knitted bow headband you can still look stylish! This headband has been knitted with a lovely, cosy, soft double knitting wool spun from 100% acrylic. Because of the way it is made, you can pull the bow out as much as you like to make the look work for you.